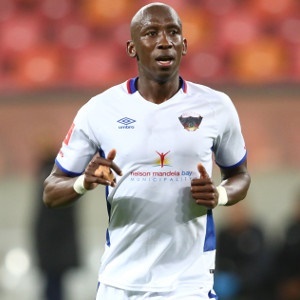 Cape Town - Chippa United forward Mark Mayambela says the players are ready for the challenge of taking on Kaizer Chiefs in a Nedbank Cup semi-final. Chippa advanced to the last four of the competition after defeating Bidvest Wits on penalties. Meanwhile, the Glamour Boys were too good in defeating Cape Town City at Mbombela Stadium on Sunday afternoon with Hendrick Ekstein and Dumisani Zuma grabbing the goals. Nonetheless, while Mayambela takes the view that the Chilli Boys would prefer to face Amakhosi in the final, the 31-year-old insists the side are ready to face Chiefs. Speaking to Kickoff, he said: "It would have been ideal to play Kaizer Chiefs in the final. "We welcome the draw even though Chiefs are not an easy team to play against. "It will be a difficult game but we are up for it." The dates and venues have as yet to be confirmed by the Premiership although it is expected that this information will be released in the near future.